P3iD Technologies premieres capture platform at Capture 2018 - P3iD Technologies, Inc.
Silicon Valley, CA- August 23, 2018: P3iD Technologies, a company providing secure hybrid business workflow solutions, today announced that it will premiere its Business Efficiency Center (BEC) capture platform at the Harvey Spencer Associates’ Capture 2018 conference in Glen Cove, NY, September 5-6, 2018. The Capture 2018 event is the conference where you can meet and talk with the leaders and decision makers and thought leaders of this industry. 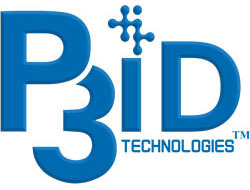 P3iD Technologies has organized a consortium of business automation technologies, as well a team of experienced industry veterans, to deliver a variety of cloud services including data capture from scanners and MFP devices, analytics and dashboarding as well as business process workflow all a highly secure environment. The P3iD BEC platform will demonstrate TWAIN Direct, a new driver-less scanning standard developed by the TWAIN Working Group. As a Technology Sponsor for Capture 2018 and an Associate Members of the TWAIN Working Group, P3iD is committed to advance this standard with demonstrable product and marketing support as well as delivering product. For more information about the P3iD’s presence at Capture 2018, go to https://P3iDtech.com/capture-2018. P3iD Technologies, Inc., develops and integrates, an extensible modular platform for capture, extraction, and storage of documents and data. Based on modern client, mobile, and cloud-based business process solutions, it’s augmented by impenetrable ID verification security, blockchain technology, and speech understanding to serve enterprises of any size. Our people, process, and partners (P3) are the core to our entrepreneurial spirit, innovation, technologies, and our flexibility, which allows organizations to realize a true return on investment quicker. For more information contact media@p3idtech.com or go to www.p3idtech.com. © 2019 P3iD Technologies™, Inc. All rights reserved.